Ryan Gosling sees the funny side as La La Land team sees prize slip from grasp. 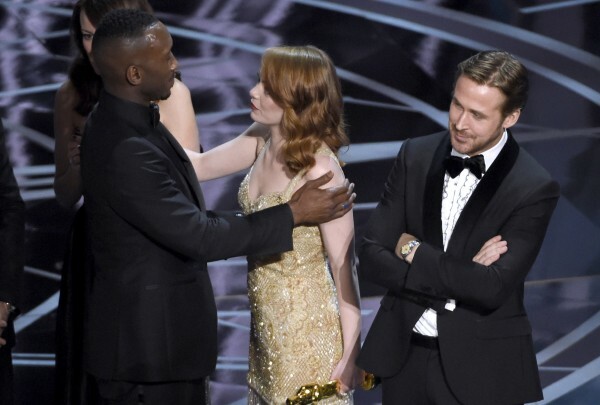 Ryan Gosling struggled to contain his laughter as it came to light that La La Land had mistakenly been given the best picture award at the Oscars instead of Moonlight. 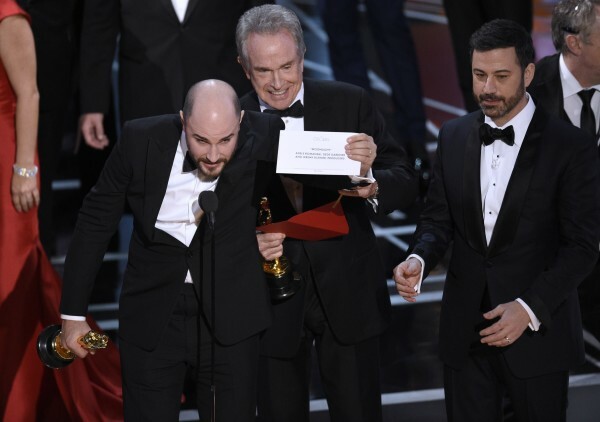 The mix-up saw the musical’s producers finishing off their acceptance speeches before La La Land producer Jordan Horowitz revealed the mistake, prompting a brief moment of panicked chaos on-stage. Jordan said: “There’s a mistake. Moonlight, you guys won best picture. Ryan, 36, appeared to be in good spirits despite the mishap and having earlier missed out on the leading actor prize to Manchester By The Sea’s Casey Affleck. La La Land won a total of six Oscars, including leading actress for Emma Stone and original song for City Of Stars. The film’s director Damien Chazelle became the youngest person to ever win the best director award. Next article Can you match these award-winning actors to the film that won them their Oscar?